One of our most popular options is now back, the Checkered Flag combo of black and white solid colored carpet tiles. Create a striking look in any room with this contrasting combination. The black and white option has been popular with race fans, or those wanting to make an impact in any space. 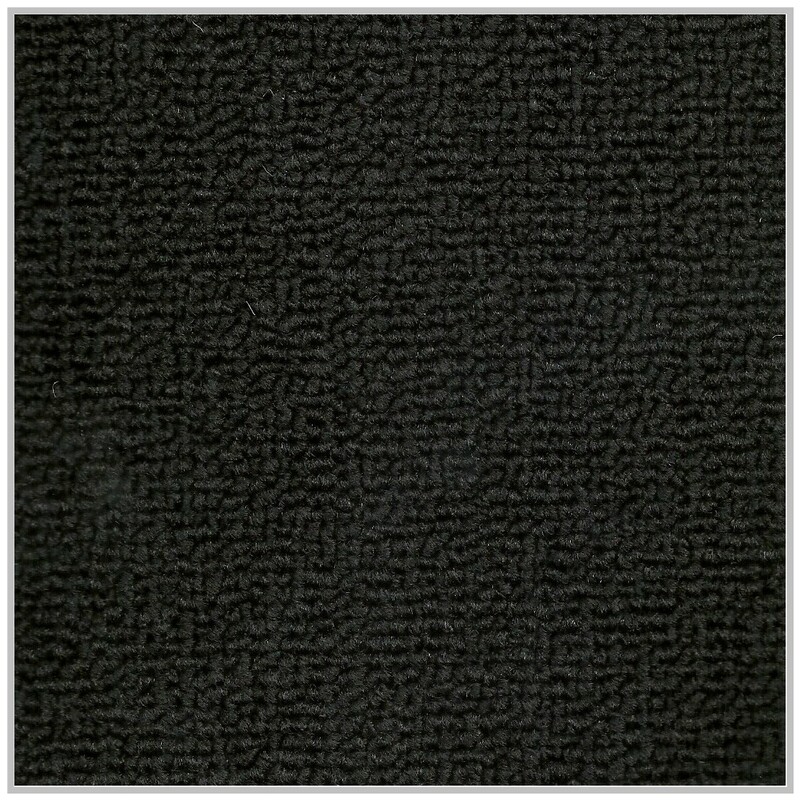 These carpet tiles retain the quality of our most popular lines, being custom made in the USA, specifically for your order. 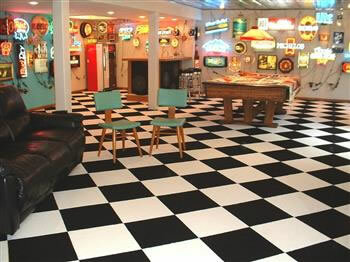 The 24” by 24” Checkered Flag commercial tiles are made from a solution dyed nylon material, with a vinyl backing. 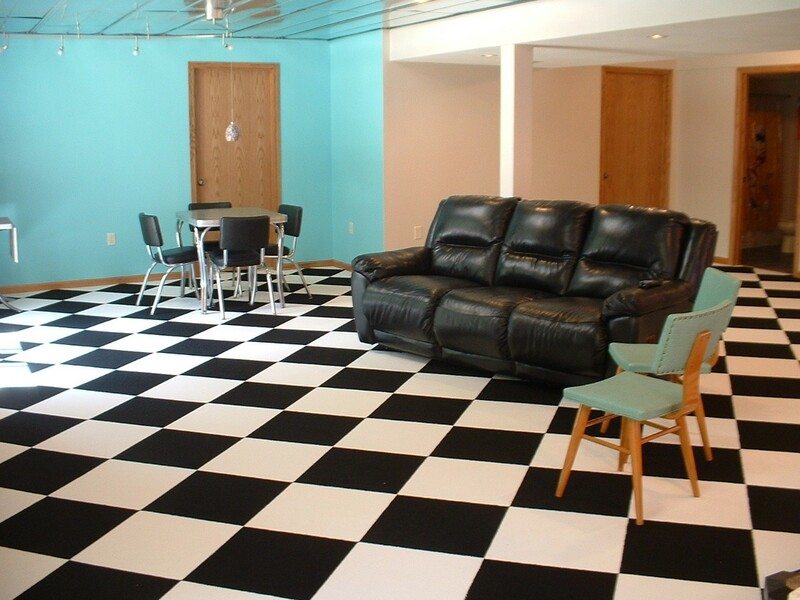 Please note: You will need to order an equal amount of black and white tiles to achieve the checkered combination. Please note: These products are made from 100% Solution dyed nylon yarn. Solid color Solution dyed yarn will have moderate streaking and banding. 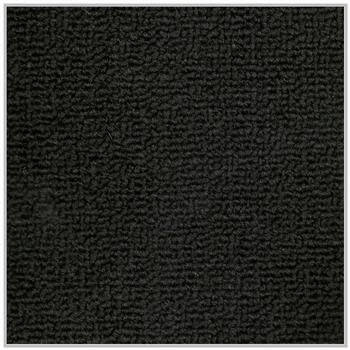 This is not a defect but is part of the characteristics of this carpet and carpet tile.